proFound Mining develops and supports bespoke mining software applications at large mining sites worldwide. 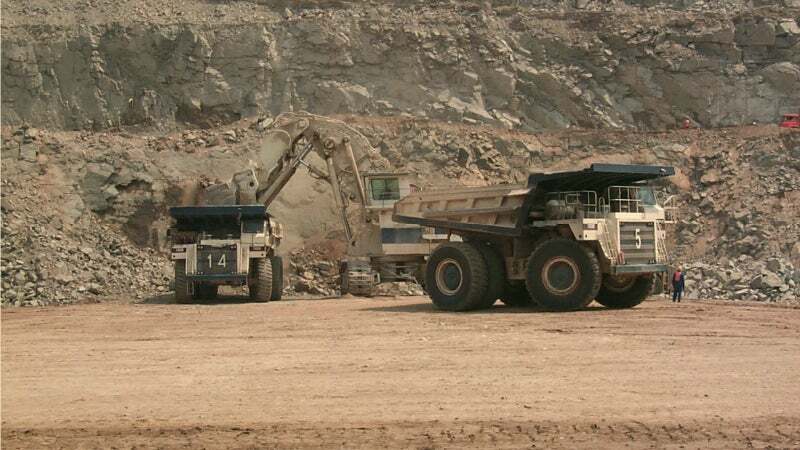 We provide solutions for all aspects of underground and surface mining operations and are currently engaged in integrating these applications into a single commercial application, to be known as proFound. The system will support resource and reserve data, and technical information relating to geology, survey, geotech (rock mechanics), production, drilling and blasting, health and safety, compliance and environmental departments. All mining and exploration operations collect data on a daily basis by personnel who then save it in spreadsheets, documents, bespoke databases, or an industry standard mining application. The assembled data is fractured, open to loss, compromised during transfer, not validated, and unaudited. proFound Mining’s pro-db© structured database provides a regulated space for any data that mines collect during day-to-day operations. Open pit, opencast and strip-surface methods, as well as underground open stope, room and pillar, longwall, and block cave operations are supported. Access to the pro-db database is provided via our flagship foundation product, with additional functionality via a full range of application modules that utilise the information stored in the database. Database access is also available via the pro-API interface, which includes a software developer’s toolkit for third-party developers. The pro-HSE health and safety module, the pro-Blast Open Pit blast module, and the pro-MIS asset management system are currently available. The database is supported by our flagship product, Foundation©, which provides a user-friendly data capture and information retrieval interface. Foundation is also equipped with a tool for full graphic reporting, a comprehensive geographic information system (GIS) capability and a mobile interface for remote data retrieval. It is designed to allow any mine to collect data to a sensible, central location, run validation tests to ensure data integrity, and then use the data for straightforward reporting and analysis. The user interface has been built be quick and easy for any user to store data in Foundation, and then simply saving it into any other system, including vanilla spreadsheets. Foundation provides a full set of validation tools, with automatic tagging of checks carried out for future reporting of overall database integrity. The graphics module allows users to produce full drafting quality output plots of all aspects of the operation, while the GIS capability reflects a fully featured GIS engine that can access any spatial data in pro-db. The mobile interface remote data access via standard web browsers. The pro-API application developer’s interface is used by proFound in all our add-on modules. The API includes a full software developer’s kit (SDK), which exposes the user access control, the audit functionality, and many other core features to external developers. proFound will shortly be hosting the ModStore© web-based application store for third-party add-on products to the pro-db database. pro-HSE is the first of the proFound modules to be released. It provides top level management of a company’s health and safety data, focusing on its personnel. The system manages the full suite of data, from accidents, incidents and compliance audits, to safety talks, risk assessment, exposure, and recurrence data. The system aims to usedata to provide core health and safety management of the people that work with the company, i.e. employees, contractors and transients (visitors, customers, consultants, delivery personnel, etc). The system includes a unique and modern workflow and action management system, which also incorportates a full documentation manager. The system is provided with key elements populated (injured parts of the body, accident types, etc) but the user can configure most elements to create a system tailored to their health and safety process. The system includes a comprehensive root-cause analysis capability, as well as a rated risk-driven prioritisation of data. In addition to mining environments, Pro-HSE can be applied in any organisation working in hazardous environments. proFound Mining is actively seeking forward-thinking operations that would like to be involved in the development of the overall proFound data system. This involves the ongoing development and testing of the pro-db database, the finalisation of the Foundation application, and all modules that are currently under development. We offer very lucrative terms to those wishing to be involved in the early stages of the development of the system and look forward to hearing from any mining or exploration operation wishing to express an interest. Any mining or exploration project will, during the life of that project, collect a great deal of data relating to all aspects of the day-to-day operations of that project. This data is stored in a wide variety of locations and formats leading to data loss for any number of obvious reasons. ProFound Mining is addressing this problem by developing the ProFound Mining System software.